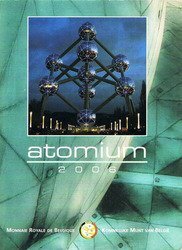 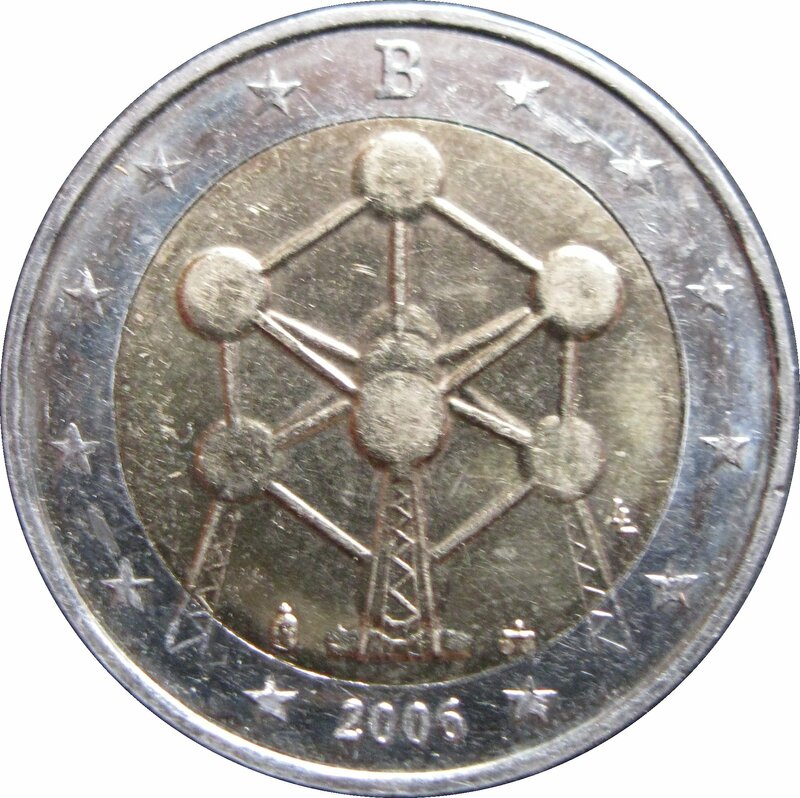 An image of Atomium is shown in the centre of the coin and the engraver’s initials ‘LL’ to its right. 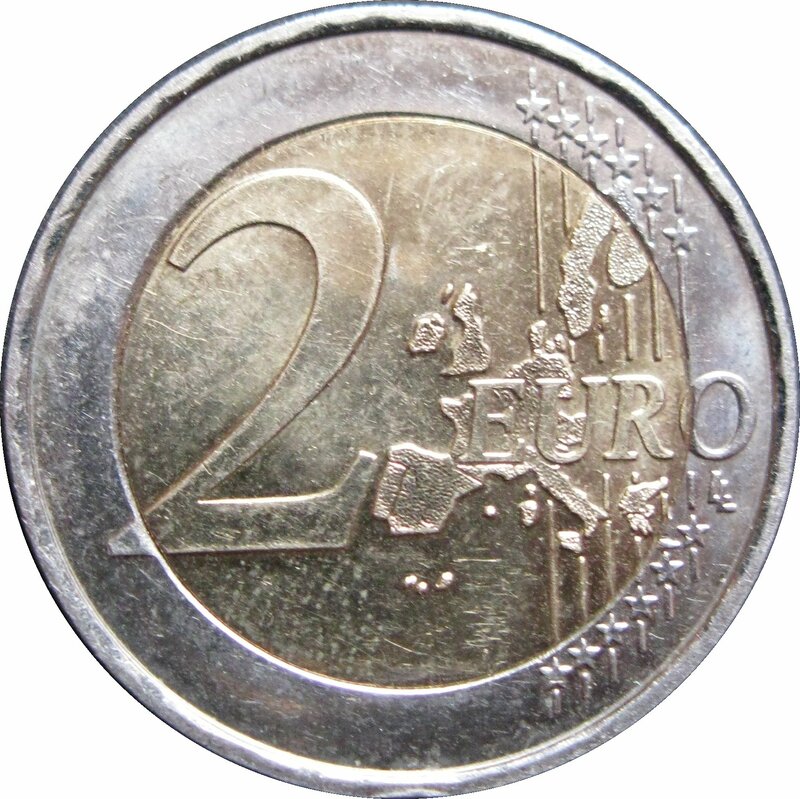 Two mintmarks appear near its base. 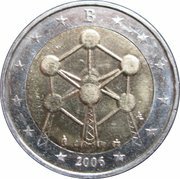 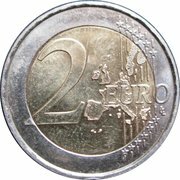 The outer ring of the coin features the 12 stars of the European Union, the letter ‘B’ and the year of mintage ‘2006’.